Sufficient and well balanced nutrition is beneficial not only for the CrossFit Games athletes, but everyday Crosfitters looking to improve their health and performance. So take a look at what they eat when they need to perform, and when they need to reward themselves. 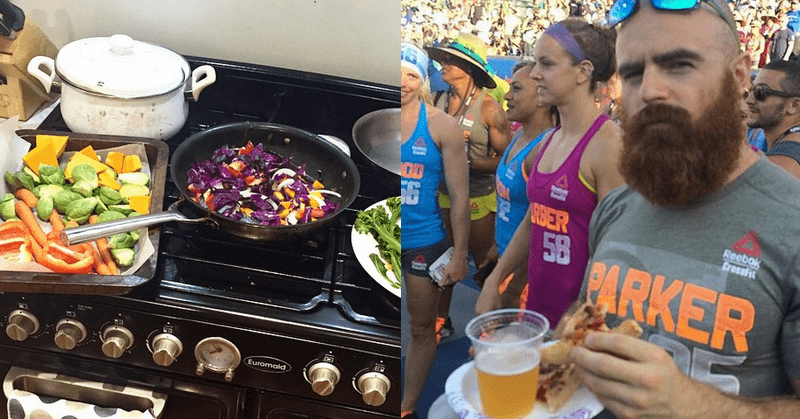 Social media can give us a quick insight into CrossFit Games athletes’ diets. 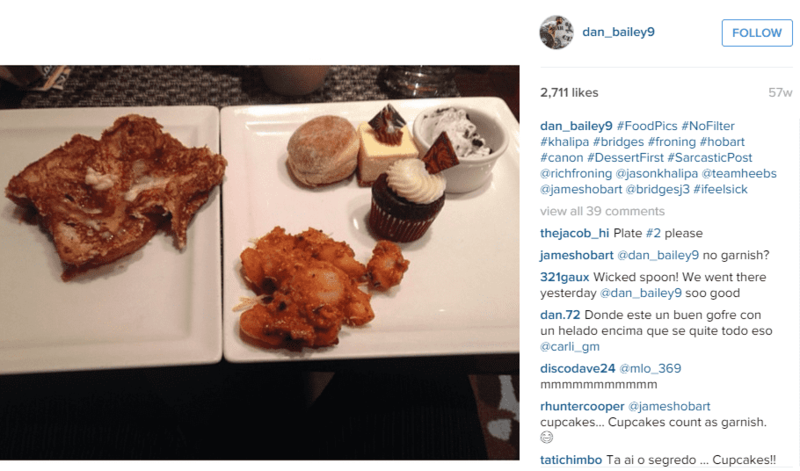 A few years ago it was safe to assume Crossfit athletes ate strict Paleo. But do they? 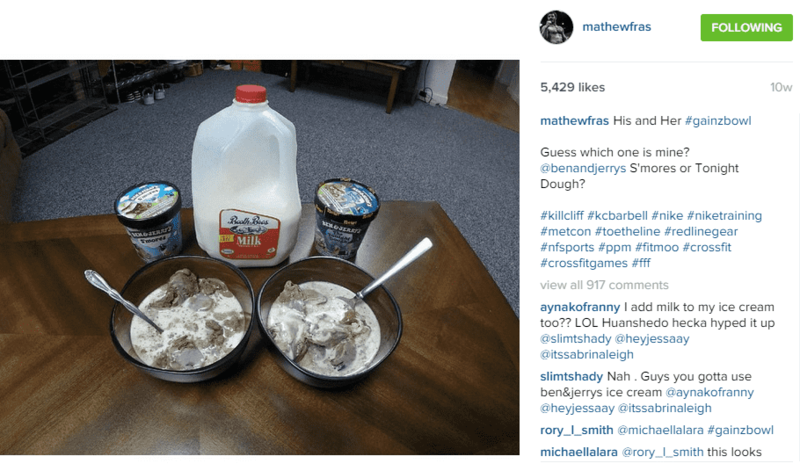 While most of them do follow a specific nutrition plan to refuel their bodies from the high volume of workouts, they do allow themselves to have some fun with Ben & Jerrys or donuts. Let’s say you have a chance to join one of the following athletes for a dinner? Who would be your pick? 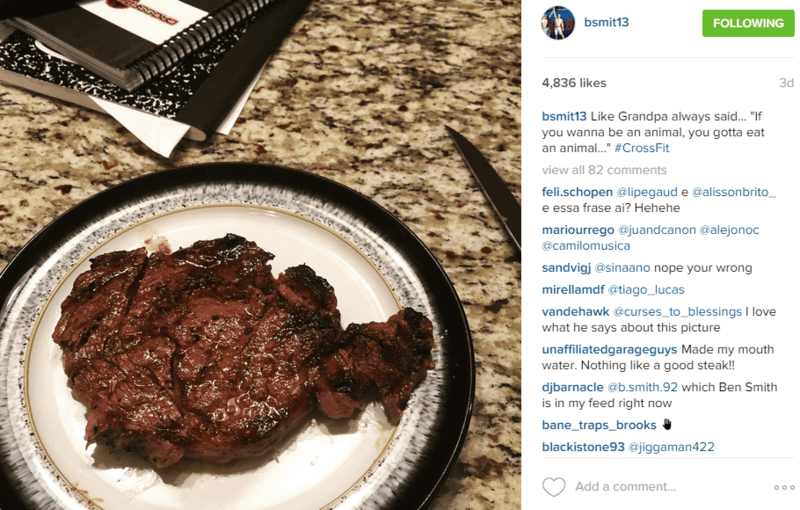 2015 Fittest man on Earth Ben Smith: “Like grandpa always said, if you wanna to be an animal, you gotta…”. 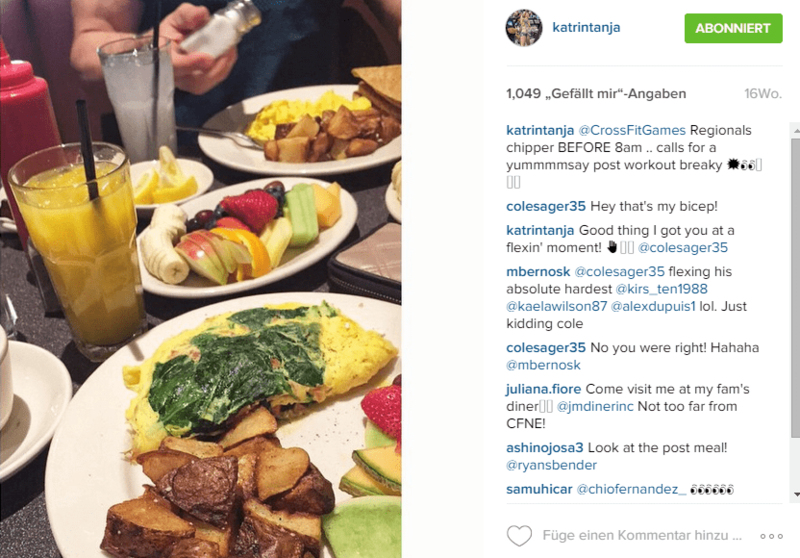 Katrin Tanja Davidsdottir, the 2015 CrossFit Games champion, starts the day by eating a proper breakfast with egg omelettes, potatoes and fruits. Fraser once mentioned he started Crossfit so he could continue eating Ben & Jerry’s. 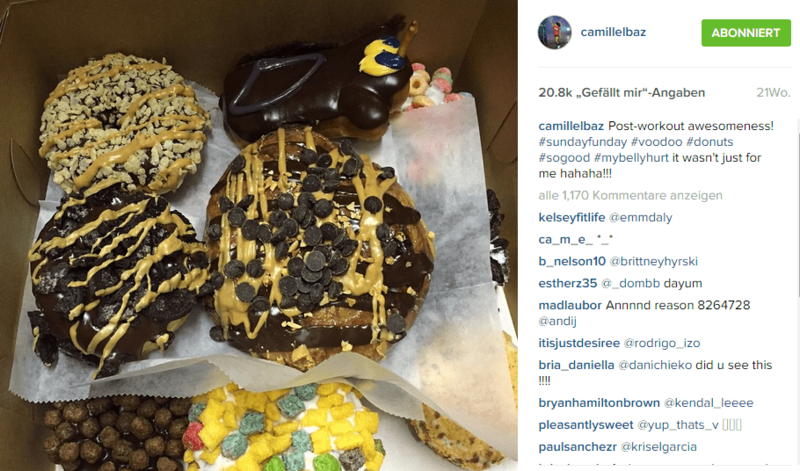 Like Fraser, Camille Leblanc Bazinet also likes to occasionally loosen up her diet with a sugary post-workout meal. We are not completely sure what everything is on this plate, but it looks like there is a lot of gains-friendly nutrients. Best feeling in the world is having enough macros left at the end of the day to eat whatever your heart desires. 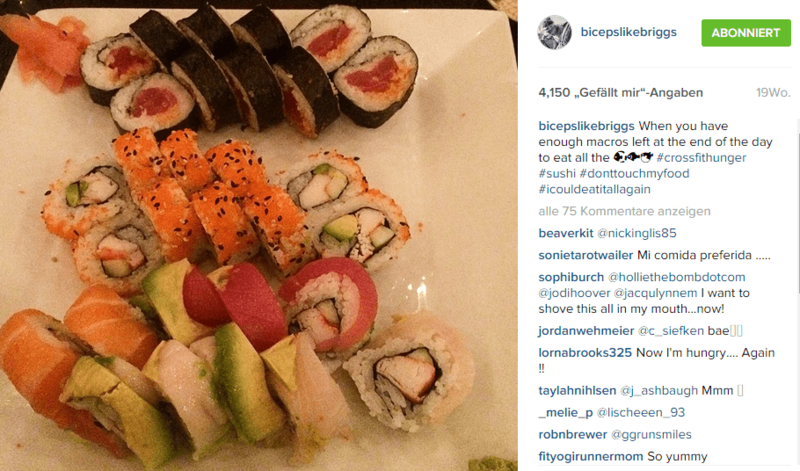 2013 CrossFit Games champion Sam Briggs took on a plate of sushi. 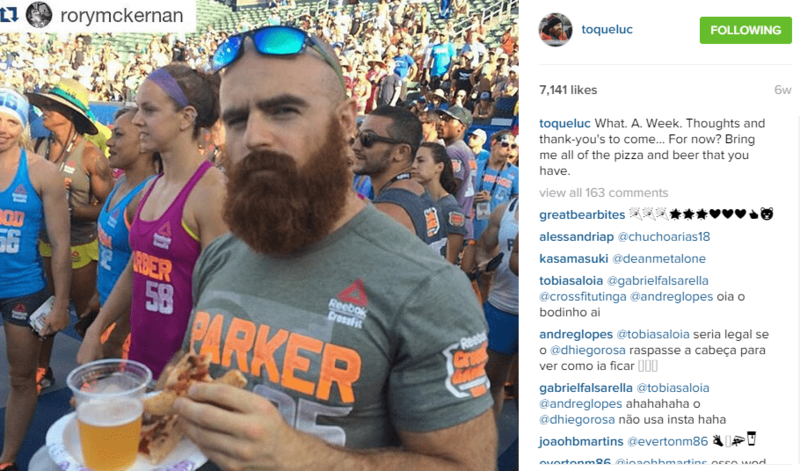 This year’s 7th fittest man on Earth keeps pizza as non-starchy possible. 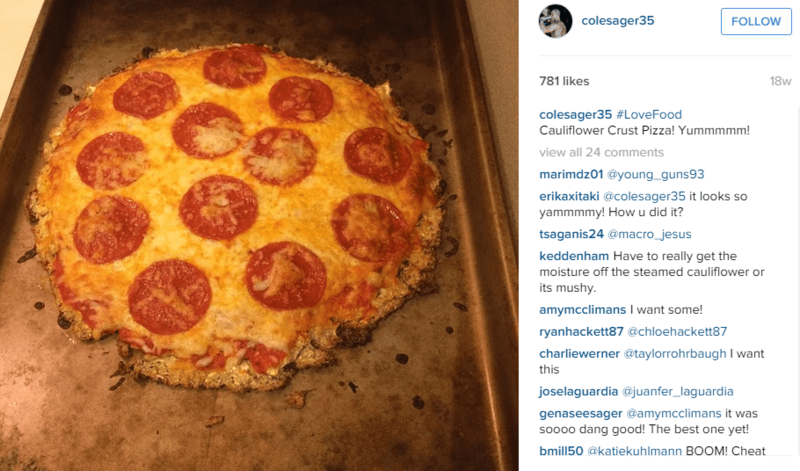 Have you ever tried pizza made of cauliflower crust? 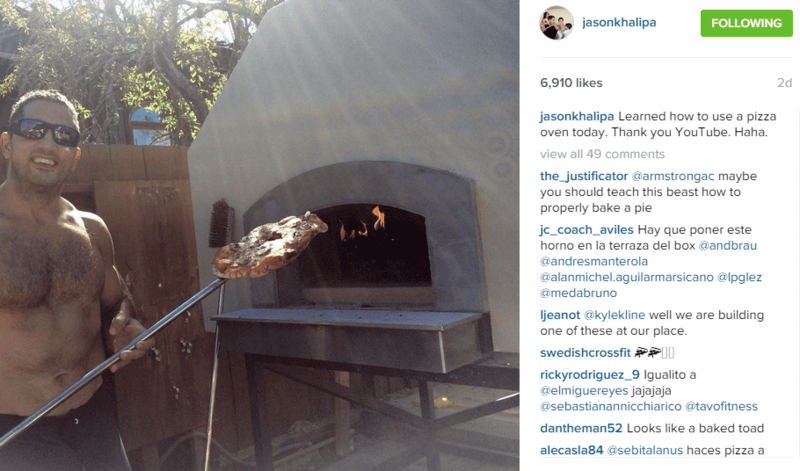 While Sager sticks to more paleo friendly dishes, Khalipa does it right: we want to join this party! 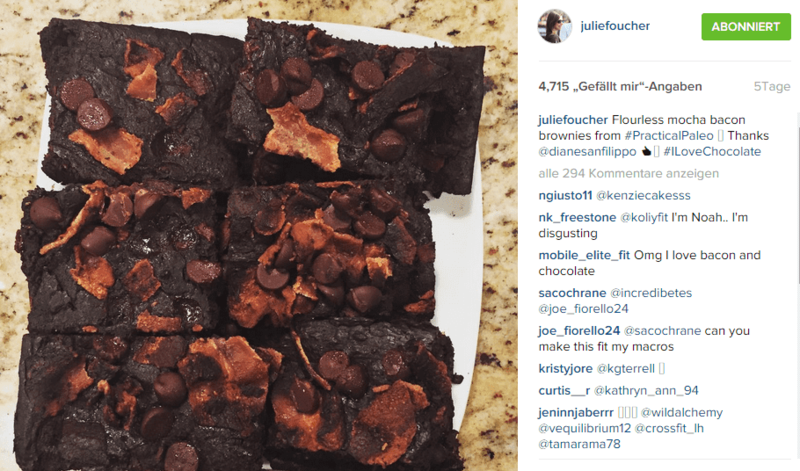 Healthy flourless mocha bacon brownies made by Julie Foucher who usually sticks to paleo type of diet. 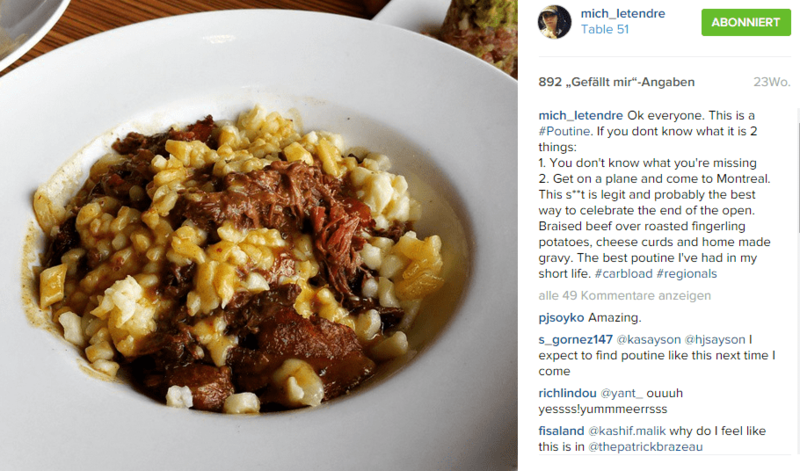 What is poutine? It’s braised beef over roasted fingerling potatoes, cheese curds and home made gravy and something Michele Letendre likes to indulge in. 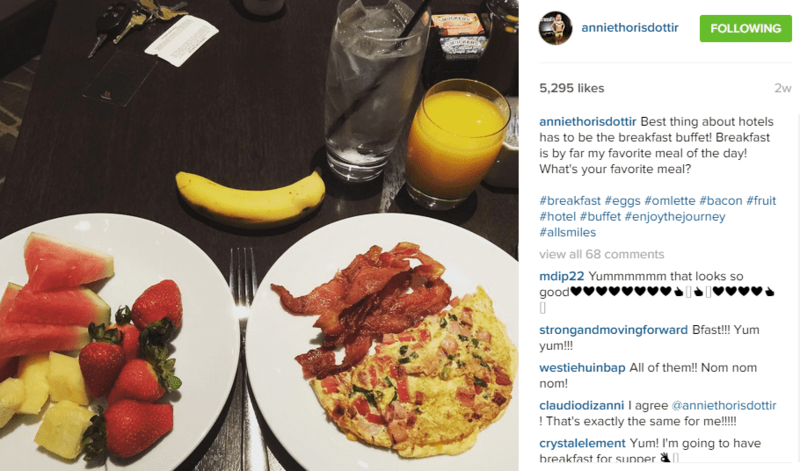 Annie Thorrisdottir likes to keep it clean and starts the day in a traditional Crossfit way: with bacon and eggs. It’s always fun to hang out with Lucas Parker and who wouldn’t mind having some pizza and beer? 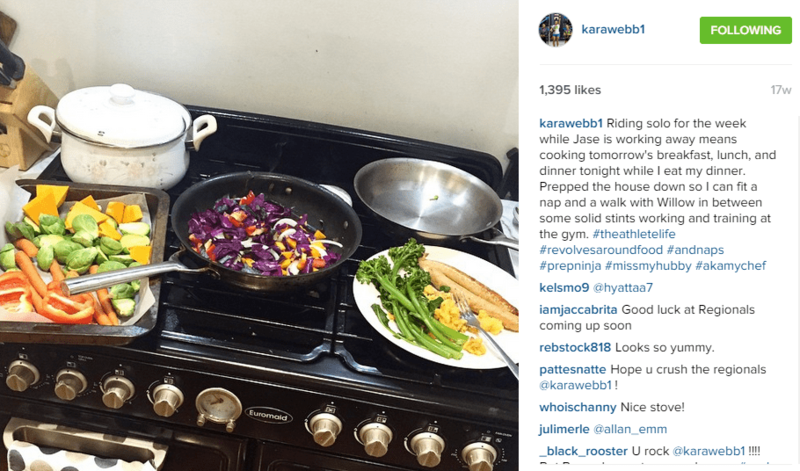 We could also call this healthy kitchen with the one and only Kara Webb. So who would you pick? Which athlete would be your date? Comment below.